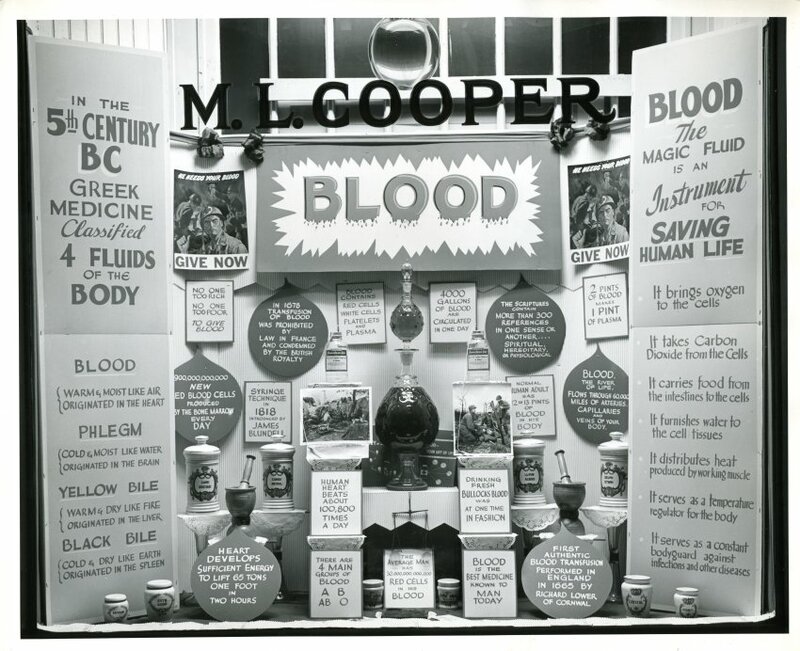 Blood is the topic of this M. L. Cooper Pharmacy window display! Posted around the window are several facts about blood and its purpose in the body, including that the heart beats about 100,800 times a day. That’s about 35 million times in a year, and up to 2.5 billion times in a lifetime! !